An impressive way to say I Love You! 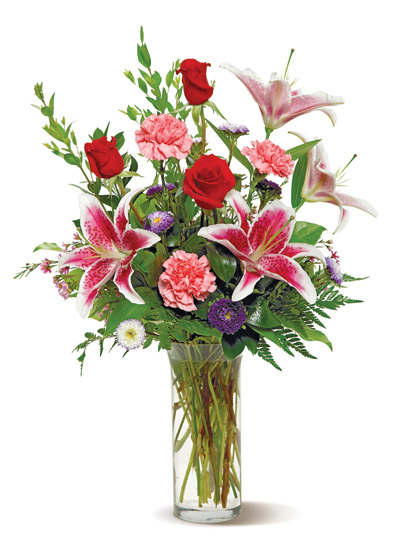 A quality roses and stargazer lilies bouquet mixed with Carnations and asters that make this the perfect all-occasion bouquet. Pinks, reds and a touch of purple are elegantly arranged. Send these flowers anywhere in San Diego, California.